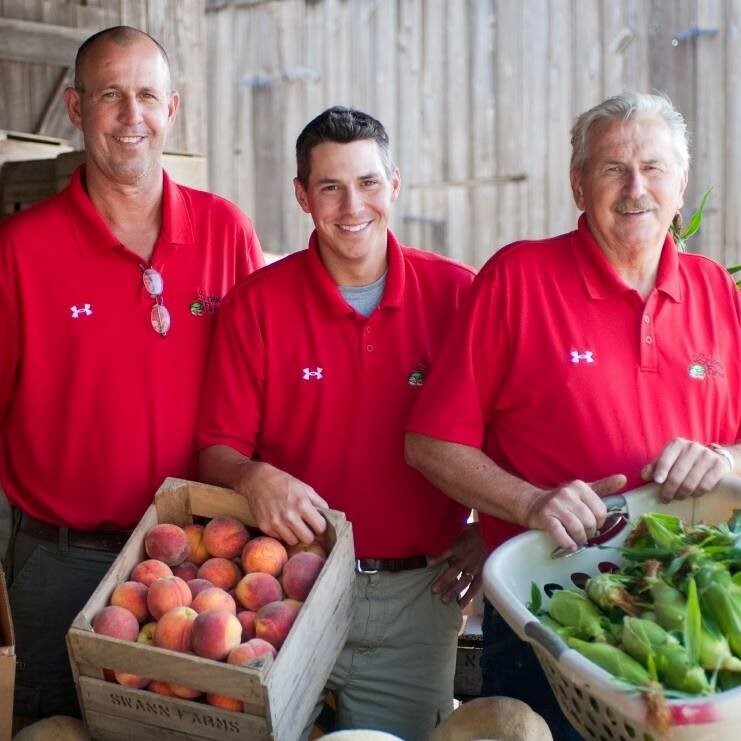 Swann Farms is a 6th generation family owned and operated farm located along the Patuxent River. Previously run as a tobacco farm, Swann Farms now provides local fruits and vegetables to our community. Swann Farm provides sweet corn, peaches, melons, tomatoes, pumpkins, and strawberries. You can find them at the North Beach Farmers Market or stop by the farm to pick your own fruit and enjoy some old fashioned Southern Hospitality. Next Step Produce is home to 86 acres of certified organic farmland in Southern Maryland. They are passionately “committed to growing excellent vegetable in harmony with nature”. Next Step Produce is run by farmers Heinz Thomet and Gabrielle Lajoie, their children, and helpers. Next step provides us with organic grains, flours, fruits, and vegetables. They are also providing products to some of the best farm to table restaurants in Baltimore, the Woodberry Kitchen and Nora’s. You can find them at the DuPont Circle Farmers Market in DC as well. 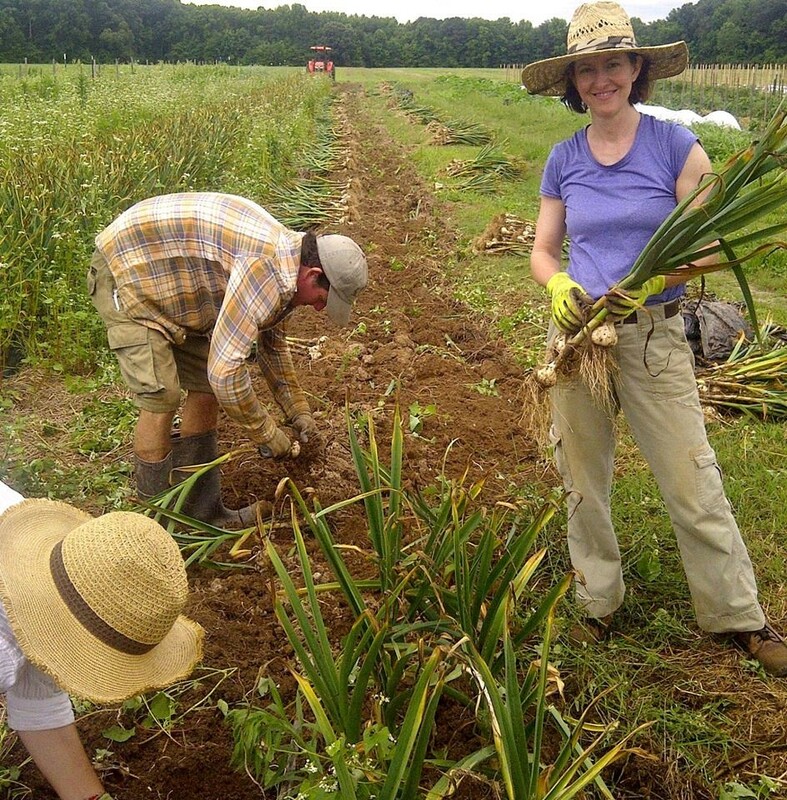 Sassafras Creek Farm is a year round, certified organic vegetable farm located in Southern Maryland. Owned and operated by Jennifer and David Paulk, lovers of growing vegetables and providing healthy food for their community. At Sassafras Creek Farm they are dedicated to farming practices that are environmentally responsible, economically viable and socially just. Sassafras Creek provides us with a large variety of organic vegetables. You can also find them at the BAE farmers market in California MD. Even’Star is a 104 acre organic, environmentally friendly farm in St. Mary’s county. Even star is owned by Brett Gronsgal, a former Chef. They strive to provide our community with organic, sustainable, delicious produce thus creating a symbiotic relationship between farm and community. Even Star Farm provides us with a variety of organic produce, and is also home to the creation of the Peachy Mama pepper! You can find Even Star Farm at the Lexington Park and Chevy Chase farmers markets, as well as on the plates of some of the finest restaurants in the DC metro area. The George Spence Farm is a family owned and operated farm located in Owings. The Spence farm is home to two particular varieties of produce, the blackberry, and asparagus. About 1/3 of the farm is designated blackberry territory. George grows Triple Crown and Chester varieties of blackberries. Blackberries have a perennial root system, where the last year’s crop provides the foundation for prosperous fruiting the next year. The other 1 ½ acres of George’s farm is dedicated to asparagus production. Both plants require a serious amount of attention and care, and George makes sure they get just that. 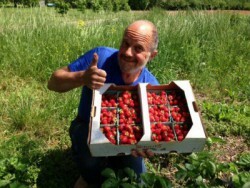 The Spence farm provides us with seasonal, luscious blackberries and asparagus. Hummingbird Farms is a 1.75 acre farm located on the Eastern Shore. 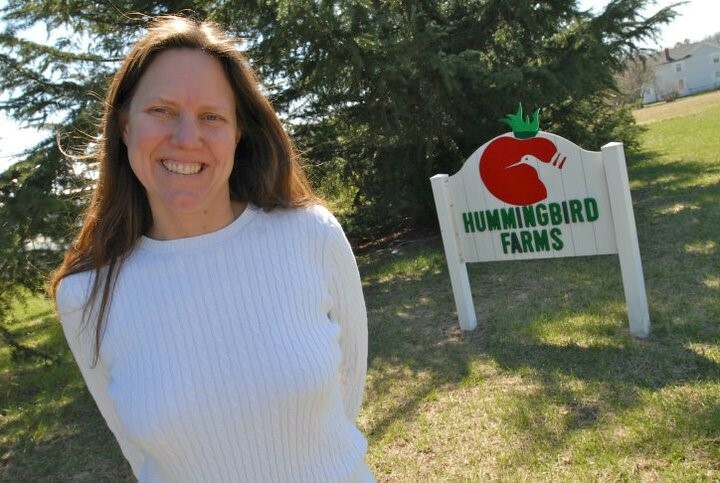 Jennifer Lawson Sturmer has been the proud owner for Hummingbird Farms 20 years along with her husband Rick. Hummingbird provides the community with hydroponically (green house grown) grown tomatoes year round. They provide us with a variety of tomatoes- beefsteak, heirloom, cherry, on the vine, and red/orange/yellow clusters. Priapi Gardens is a year round organic garden center with 2.6 acres of high quality organic produce. Owned by Vic Priapi, a certified horticulturist and experienced vegetable farmer, and his wife Mary. They are strong believers in preserving our ecosystem and its natural resources. Priapi Gardens provide us with many organic fruits and vegetables year-round. You can find them at the Kent Island Farmers Market or come visit their garden center/ small farm market. Prickly Pear Produce is a sustainable business that strives to provide the community with organic, wholesome food. Their farm is named after the ubiquitous cactus native to North America, wild and rich in nutrition. 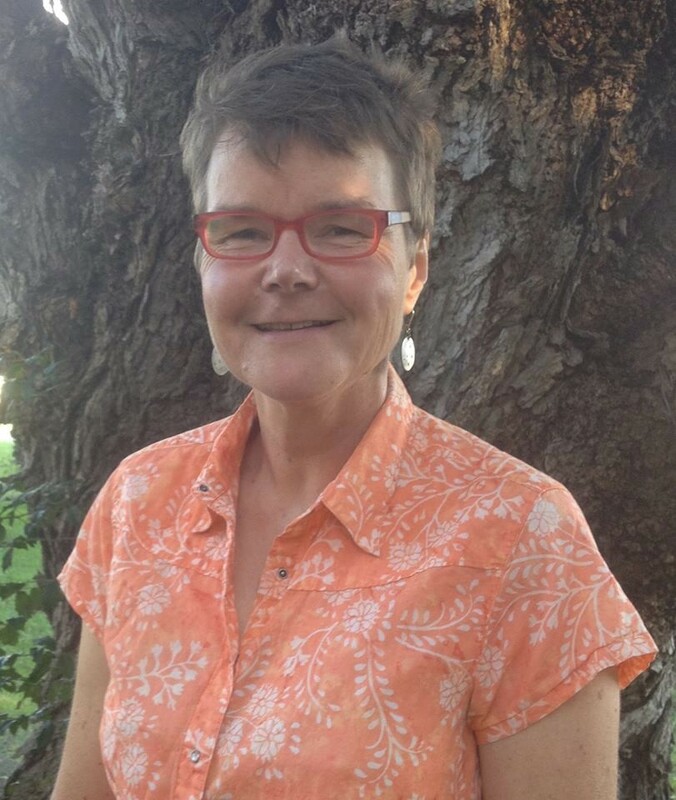 Owner/farmer Rebecca Cecere Sweard has only the best intentions for creating a connection between community farming and sustainability through CSAs and wholesales. Prickly Pear provides us with a variety of organic produce. Eve’s Cheese provides our community with high quality cheese from the happy cows at Fawnwood Farm in Kent County MD. Eve’s cheese was founded by the Mason and the Nunn families. They believe in the survival and importance of the American family farm. Eve’s Cheese is made by an Amish cheese maker with only Grade A milk; the cheese is antibiotic and chemical free. Eve’s Cheese provides us with a variety of cheddar and Colby cheeses and reasonable prices. P.A. Bowen Farmstead is a multi-species farm located in the hills of Prince George’s county. Owned and operated by Geoffrey and Sally Morell. The animals at P.A. Bowen Farmstead are allowed to roam freely and forage on the lands. They feed their animals a grain mix that is non- GMO and mostly locally grown. P.A. Bowen Farmstead provides us with a variety of Artisan raw milk cheeses. You can find their products at local farmers markets or visit their old-fashioned farm store. 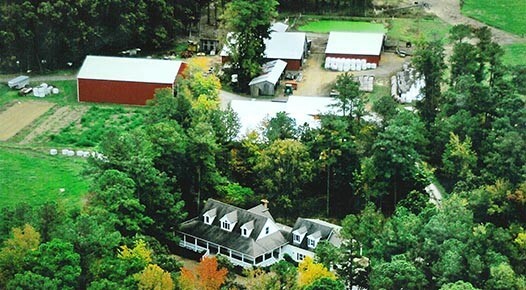 Cherry Glen is home to a 58 acre farm in Montgomery County, owned by Diane Kirsh and managed by Wayne Cullen. They provide our community with high quality goat cheese. The goat milk is provided by Alpine, Toggenburg, La Mancha and Saanen dairy goats, producing only the finest cheese. Cherry Glen provides us with a variety of goat cheese that include the Monocacy Ash/Gold/Silver/Chipotle, ricotta, and Chevre. You can find their products at many local farmers markets and retail stores in the DC/Maryland/Virginia area. Dough Run is a women owned small business specializing in all natural, locally sourced baked goods. Dough Run is located in PA and manufactured locally in Darlington MD. Dough run specializes in gourmet granola bars with a mission to produce exceptional food for their customers. They provide us with a variety of chewy granola bars, and loose granola. Magnolia Bread Company specializes in producing artisan breads on a 14thgeneration sustainable family run farm on the eastern shore. 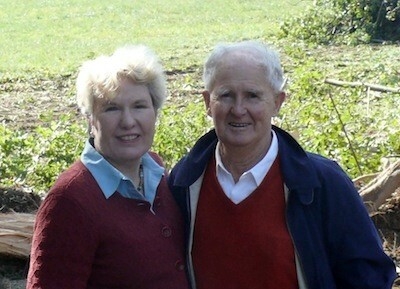 Owner Jimmy and Julie Reynolds founded Magnolia Bread Co. in 1993. Jimmy has a long, passionate relationship with bread that has developed through dedication, and trial and error. 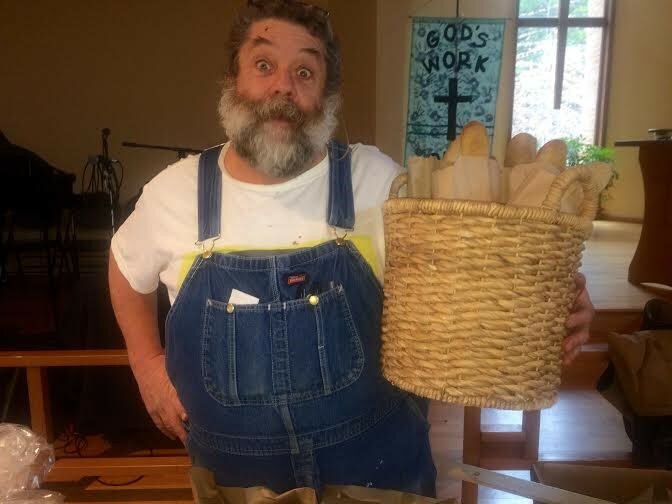 He believes good bread takes time, lots of love, and quality ingredients. They grow their own wheat for their bread and enjoy incorporating other local flours and products into their baked goods. Magnolia provides us with a variety of local breads including flatbreads, focaccia, loaves, muffins and rounds. He also bakes with flour from local farm Next Step Produce. You can find Magnolia Bread at local farmers markets. 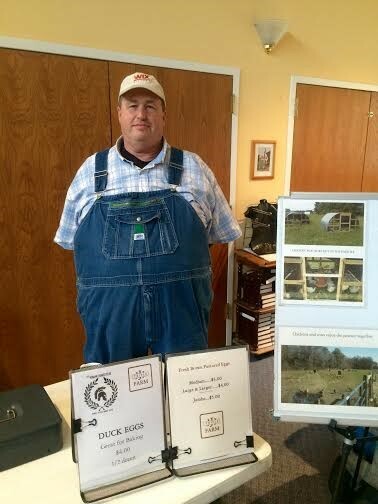 Dalton’s Apiaries is a family run small farm in St. Mary’s County. They provide us with local, fee range/ antibiotic/hormone free eggs all year round. Before the Dalton Farm had chickens Harry Dalton was a provider of artificial insemination to the local cows and farmers in southern Maryland. His main clients, the Amish, were more into natural breeding rather than artificial insemination. So Harry turned to raising chickens; Harry Dalton is very passionate about his chickens he believes that chickens need to be free to roam and to eat the natural food from our earth. “What that chicken eats goes into the egg, then into me!! !”- Harry Dalton. Harry eats multiple raw eggs a day for ample nutrition. Over at Dalton’s Apiaries you will find happy healthy chickens roaming at their leisure providing you with the most nutritional delicious eggs. Clinger’s Naturals is a family owned and operated farm located in Salisbury MD. They specialize in growing all-natural, organic peanuts, and manufacturing a variety of nut butters and nuts. You can find their products at local farmers markets as well as in the kitchens of local farm to table restaurants. Clinger’s naturals provide us with roasted peanuts and a variety of pure nut-butters. 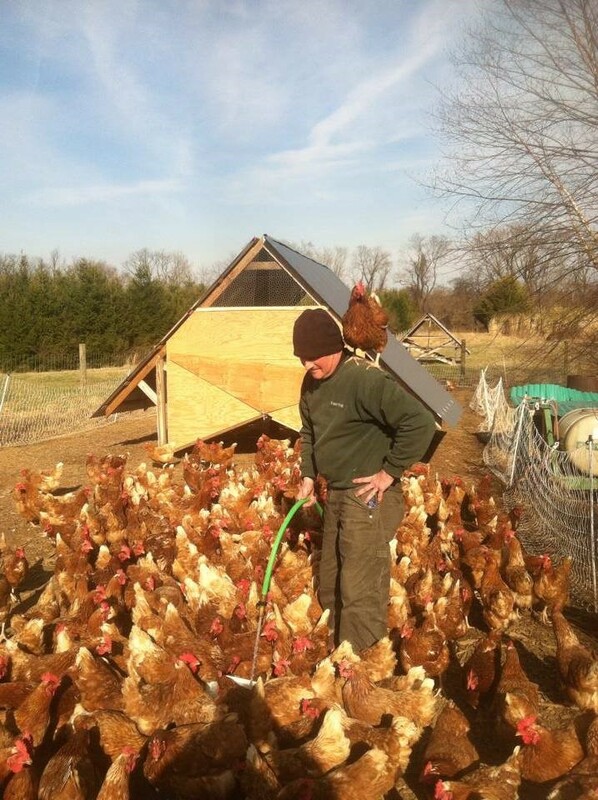 Triple J Farms is a small family run farm located in Federalsburg MD, they specialize in all natural (nothing artificial), free range pastured eggs and chicken. You can find them at the Annapolis and Kent Island farmers markets. 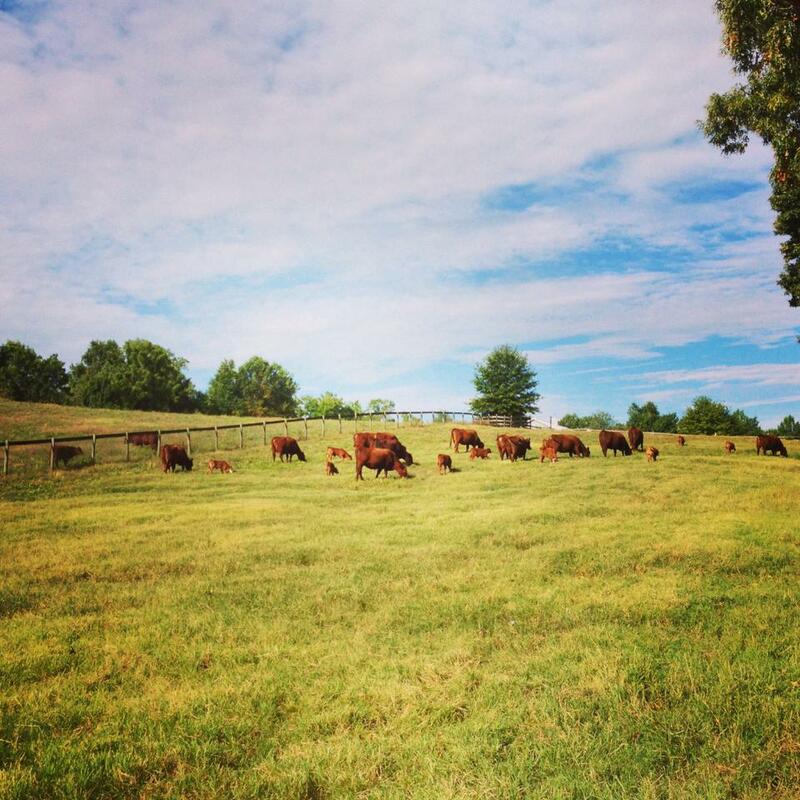 Patuxent Harvest is a small family run livestock farm located right here in St. Leonard. They provide us with a variety of free range and antibiotic/hormone free chickens, pigs, and turkey. Liberty Delights is a family owned and operated, all-natural meat producer in Reisterstown MD. They specialize in pasture raised animals that are free of antibiotics, hormones, and growth stimulants. They provide our community with a variety of animal meat including: chicken, beef, rabbit, lamb, pork, and turkey. You can find Liberty Delight products in many farm to table restaurants in the Baltimore area, such as the Woodberry Kitchen and Farmstead Grill. Windy Willow Farm is a 3rd generation family owned and operated farm in Sunderland MD. They provide us with high quality meat that is hormone/steroid/additive free and humanely raised. Windy Willow Farm is a sustainable producer providing us with pork, beef, goat, and lamb for Chesapeake’s Bounty. You can find Windy Willow at the North Beach farmers market. Fairfield Farm is owned and operated by the Sasscer family in Park Hall MD. Their farm consists of 295 acres, where they raise pasture raised beef, goat, hens, and eggs. They also sell farm raised produce, baked goods, and jellies off their farm. Fairfield Farm provides Chesapeake’s Bounty with pasture raised pork. 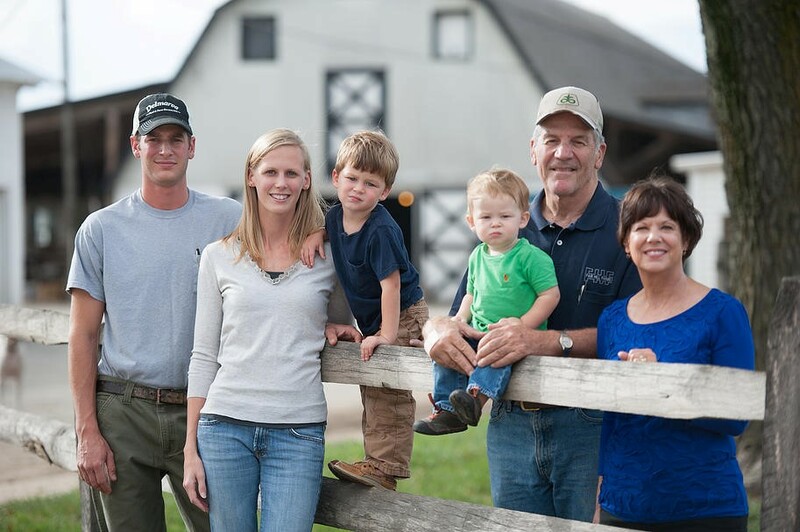 Maryland Sunrise Farm is a family owned and operated on 857 acres of land in Gambrills MD. They grow and provide produce, grass-fed beef, and seasonal agricultural events for the community. Maryland Sunrise Farm provides us with grass fed beef and seasonal produce. 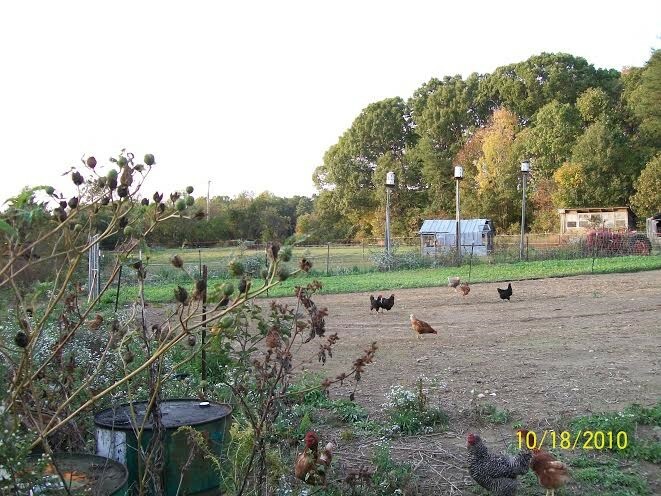 Grand View Farm is a family owned and operated farm located in Forest Hill MD. They specialize in sustainable, pasture based farming methods, using no GMOs. At Grandview Farm animals roam free and contribute to the farm ecosystem. They provide the local community with grass fed beef, pork, chicken, and eggs. 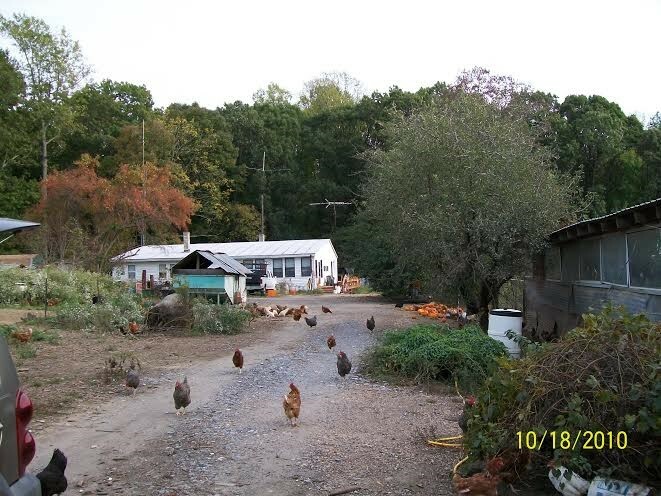 Grand View Farm provides free range poultry to Chesapeake’s Bounty. 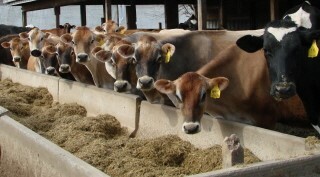 Nice Farms Creamery is a family owned and operated Dairy Farm in Federalsburg MD. They specialize in all-natural, farm fresh, non-homogonized, hormone free dairy products. These include creamline milk, chocolate milk, butter, and a variety of yogurt. The cows at Nice Farms graze on open pastures and are given lots of love and care by the farmers, providing a superior product. You can all their products at Chesapeake’s Bounty, at their farm store directly, or local farmers markets. Pea Peeps is a small farm located in Barstow MD. 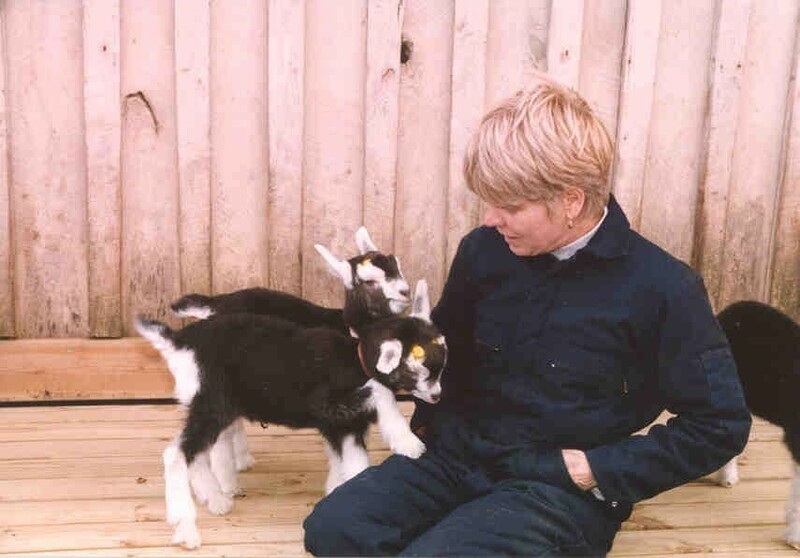 They specialize in raising Nigerian Dwarf goats. 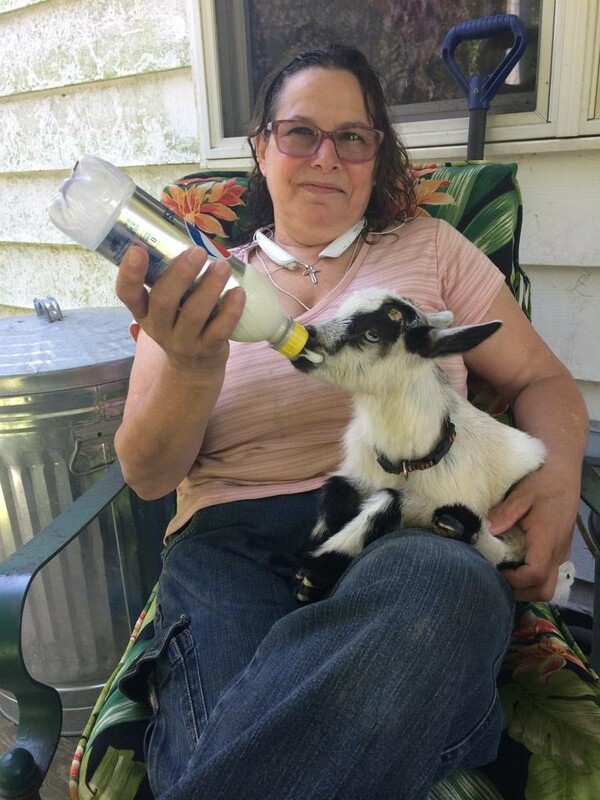 They use their milk to produce a variety of luxurious goats milk that we sell here at Chesapeake’s Bounty. Yarn from the farm is a local provider of sheep wool and alpaca yarns owned and operated by Cheryl and Kevin Pinkerton. Sheep have been a part of their second-generation family farm for well over 30 years now, with a few fiber-pet alpacas joining the flock in recent years. Each spring they shear the wool and fiber off of their animals, to cool them for summer. These resulting lofty, flock-specific yarns are ideal for knitters and crochet- enthusiasts to make up into cozy, ultra-warm outerwear, such as mittens, scarves, hats, sweaters, and more! Yarn from the Farm provides us with pure wool yarns, a DK -weight blend of wool and alpaca yarn; in both natural fleece colors and over-dyed skeins. Centro Ashe is an herb farm, community farmstead, education center, and medicinal plant sanctuary located in Bryans Road MD. Centro Ashe was founded in 2010 by Molly Meehan. Centro Ashe is home to a collection of know ledged herbalists and teachers that strive to keep folk verbalism alive in the community. They also feature education programs in Talamanca Costa Rica. Centro Ashe provides us with salves, balms, and herbs. Habanera Farms LLC is a Maryland licensed tea producer (the first and only), located in Tyaskin MD. It is owned and operated by herbalist Henriette den Ouden and her husband Chris Himmel. 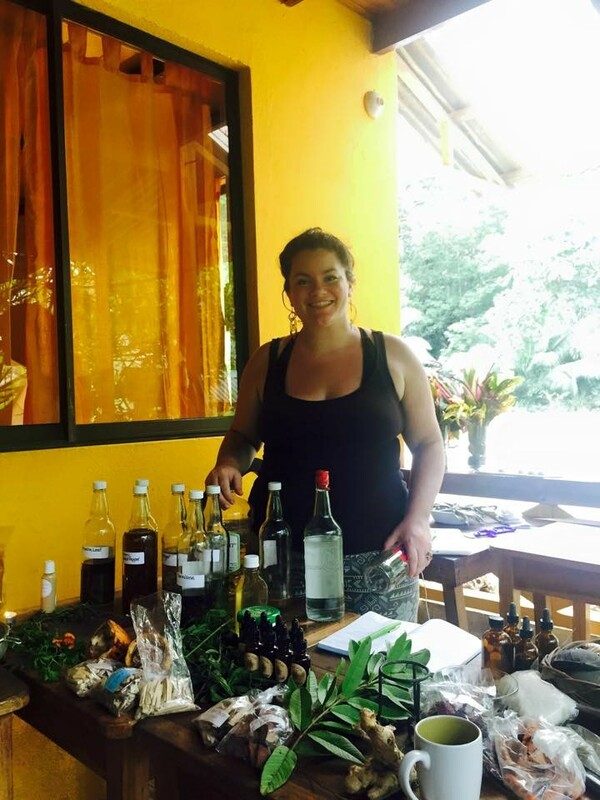 Habanera Farms offers herbal medicine consultations, health, wellness and spiritual coaching, and offers a variety of classes and workshops. Habanera Farm provides Chesapeake’s Bounty with farm grown loose tea blends. 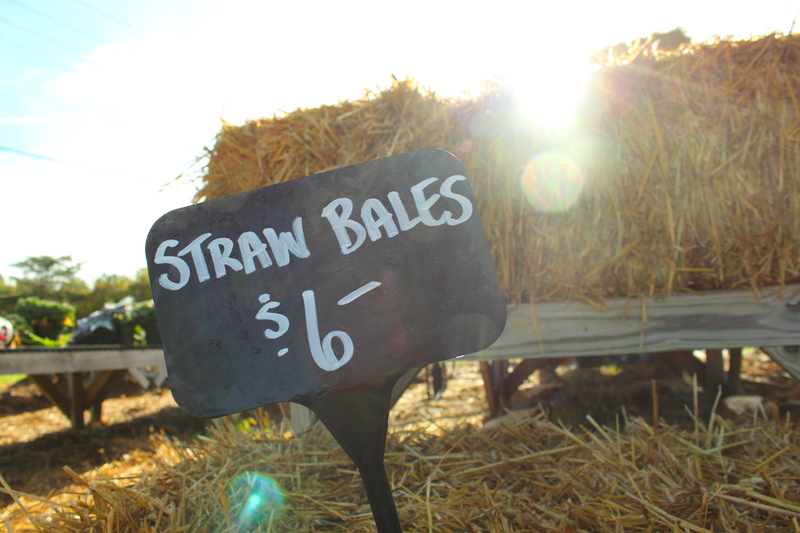 Patuxent Farm is a small family run farm in Prince Fredrick MD that provides Chesapeake’s Bounty with straw. At Last Farm provides Chesapeake’s Bounty with fresh eggs, lamb, beef, and organically grown hydroponic veggies. Porpoise Creek Farm is a 90 acre farm that is family owned and operated by Dawn and her family. About 25 acres is all vegetables ranging from Watermelons to Cherry Tomatoes. The farm is located in Compton, MD, just outside of Leonardtown. 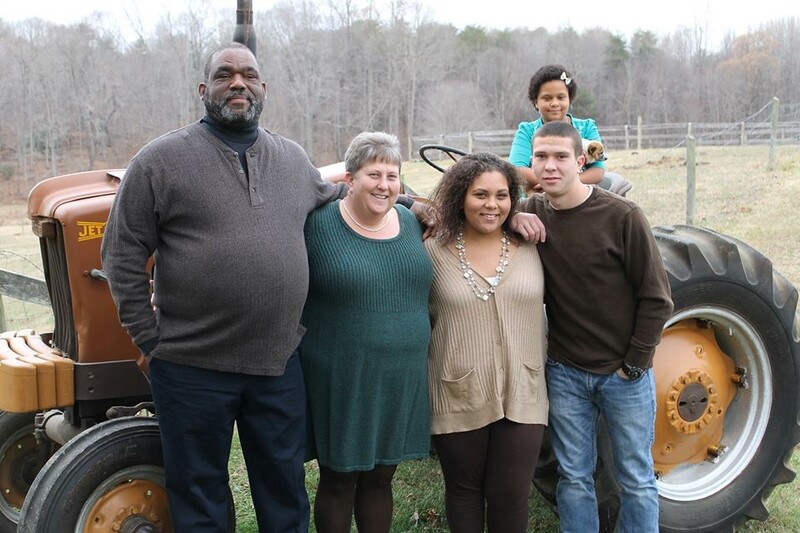 Dawn is an eighth generation farmer and their family goal is to keep the farm in the family while supporting and supplying families with fresh delicious vegetables throughout years to come! Everything they grow was started as a seed in their greenhouse then hand planted in the field, and finally harvested for a short trip to your hands. Porpoise Creek provides Chesapeake’s Bounty with a large variety of fruits and vegetables. 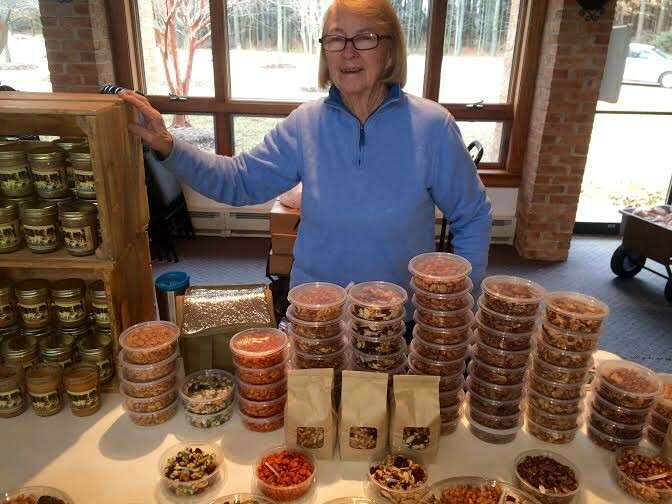 Oksana Bocharova is the proud owner of an organic vegetable farm, and fermented vegetable company located in Chestertown MD. Her mission is to create a beautiful, diverse, productive ecosystem that provides natural conditions for our food production. She wishes to provide real food that is grown for taste and grown in the way that pay people a good wage for their work. Oksana often participates in local farmers markets where she sells organic vegetables from her farm, as well as her fermented food products. At Chesapeake’s bounty you will find Oksana’s Traditional Russian Kraut, Smokey Thai Kraut, Pink Sapphire Kraut, Cabbage Kimchi, Dill Pickles, and Chow Chow. Susquehanna Mills’s goal is to provide the area with natural cooking oils pressed from locally grown crops. 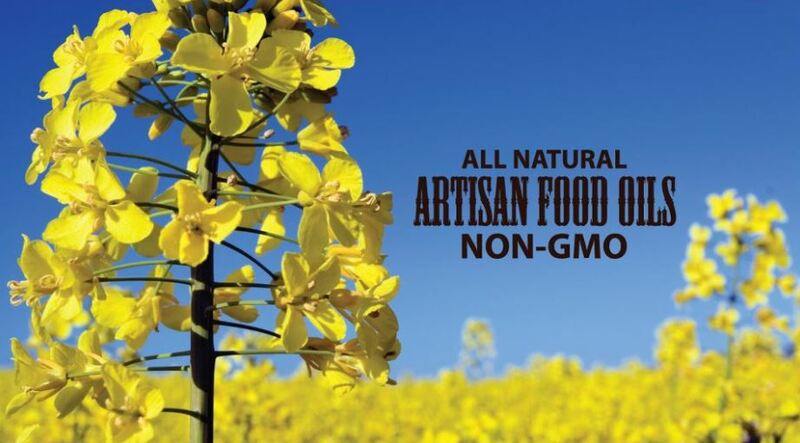 Our oil varieties include canola oil, sunflower oil, and soybean oil. Susquehanna Mills was started to provide the area’s restaurants with a natural canola oil for healthy frying. You can have confidence that you are buying a good product and supporting local farmers when you buy our oil.